Trendsetter Vulcan Offshore (TVO) has signed an agreement to provide SubseaDesign with rights to market and commercialize TVO’s patented Tethered BOP design for use in the Norwegian sector of the North Sea. 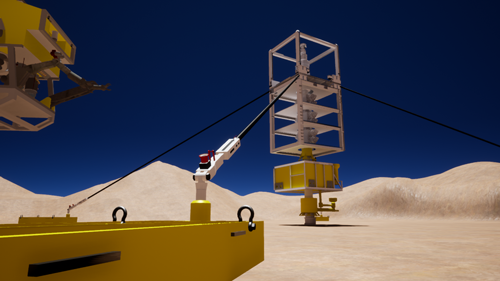 The TVO system is a robust, cost-effective solution for two emerging technical challenges facing the drilling industry – wellhead fatigue and wellhead strength. The Tethered BOP system arrests the motion of the BOP stack above the wellhead, substantially reducing wellhead cyclic stresses and enhancing fatigue life. Depending on the specific riser and wellhead configuration, fatigue life has been improved by as much as 1,000 times the original unmitigated wellhead fatigue. An added benefit is the increased limits to the rig watch circle, particularly in shallow water, where watch circles can be very restrictive. “The introduction of this technology, which complies with the demanding NORSOK standards, into the Norwegian sector provides operators and drillers with the cost-effective means to solve a growing issue within the industry,” Eivind Rasten, SubseaDesign President, said.